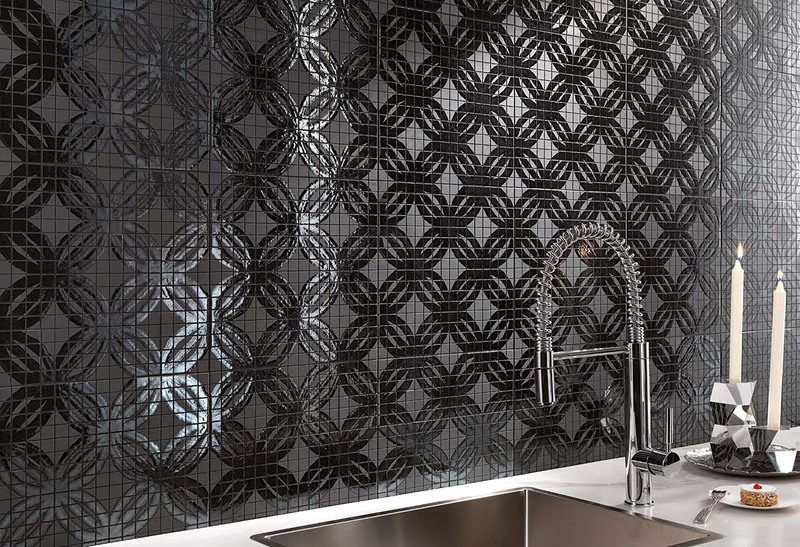 Presenting the new collection: Dark Side, a range of refined artisan mosaics in which valuable graphic designs transcend­ the tile as a single module, drawing infinite and refined decorations of unique and personal taste. 8 mosaics in porcelain stoneware, developed using an innovative and unique technique which has enabled the creation of a continuous pattern mosaic (format: 30×30 cm) with remarkable aesthetic impact. 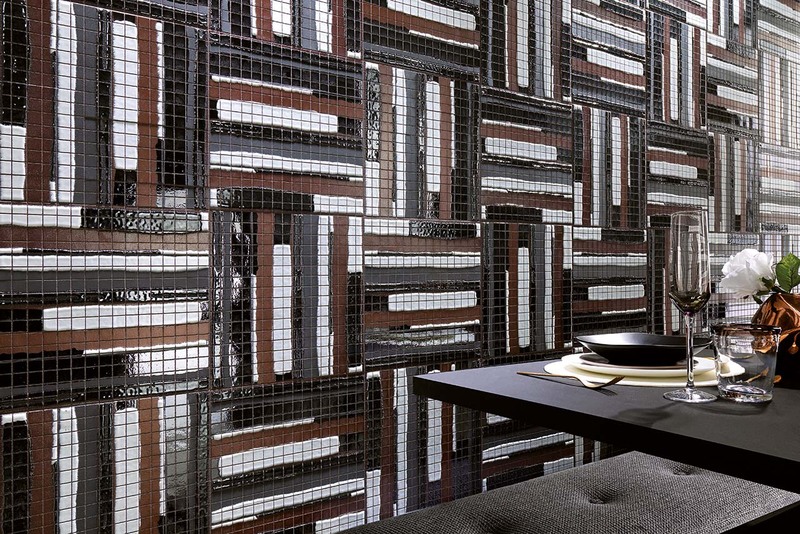 With Dark Side mosaics, wall decorations come to life and transform into veritable works of art. 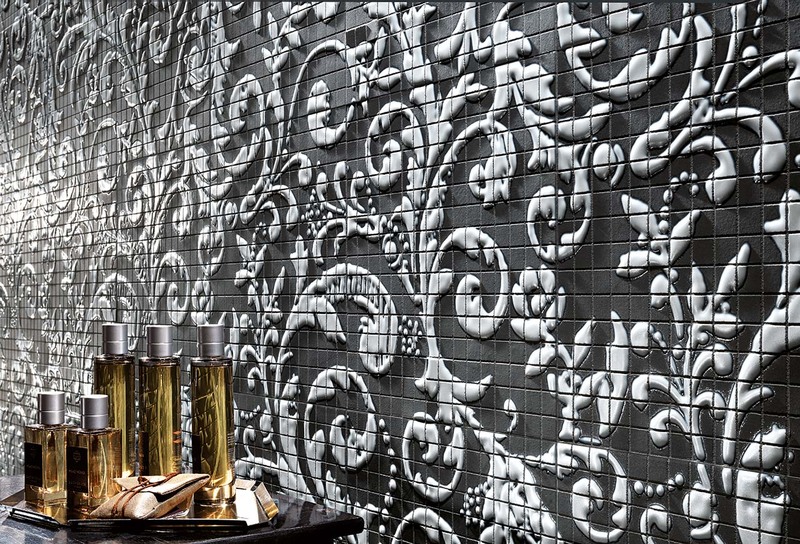 The designer mosaic is revisited in an extremely contemporary key, skillfully maintaining its original artisan style. In this proposal, stucco work reveals the material’s refined imperfections and highlights their sophisticated beauty: perfect solutions for the creation of walls characterised by luxury, personality and exclusivity, ideal both for residential (including feature walls) and contract interiors (including hotel rooms, cafès and lobbies). 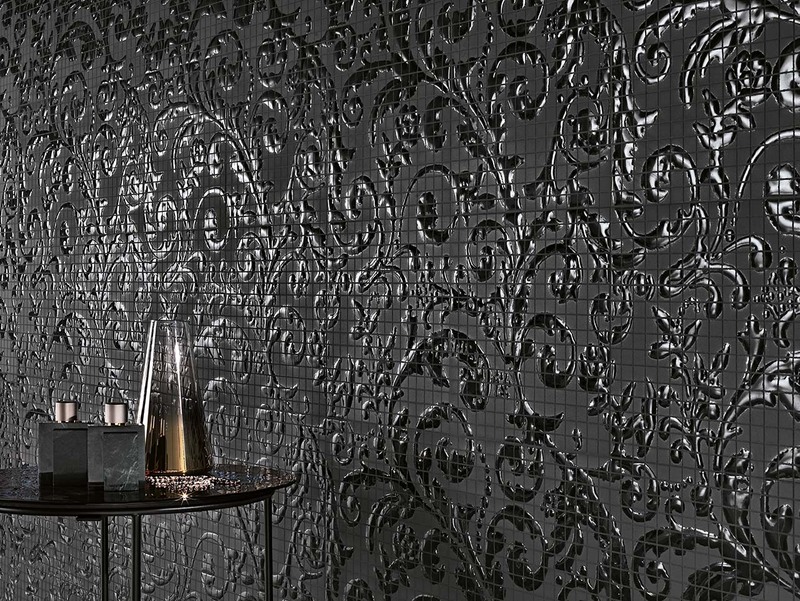 Damasco Black Gloss: shiny three-dimensional effects sinuously move over Matt background tiles, producing remarkable­ contrast effects. 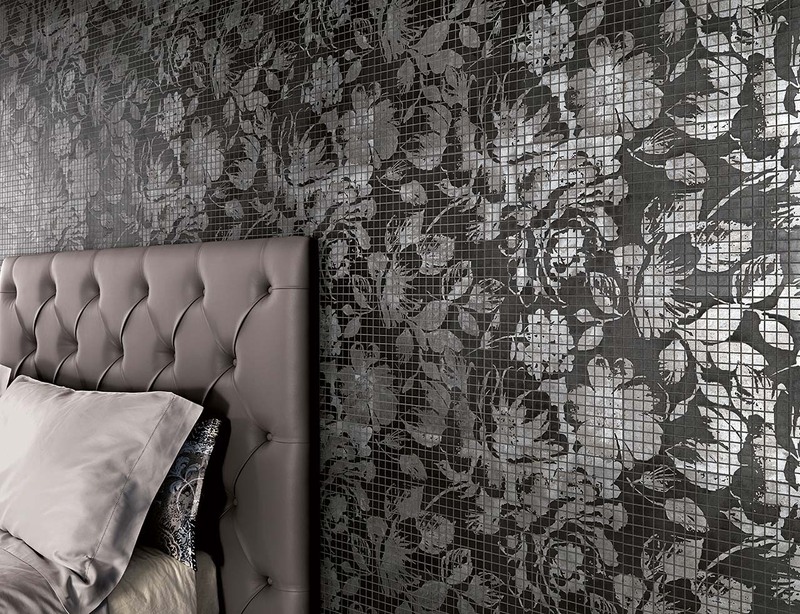 Damasco Black Matt: total Matt decoration for a surprisingly modern damask. Night Flower: refined flowers appear to blossom in the night to decorate purely poetic interiors. Ring Black: liquid sparkling rings ­intersect in a captivating ­play of exclusive geometries. Cross Bronze: refined metal effects, in a kaleidoscopic fusion of different elements. Cross Silver: chromed and sophisticated, an authentic mirror of beauty in­ which light reflects all its allure. 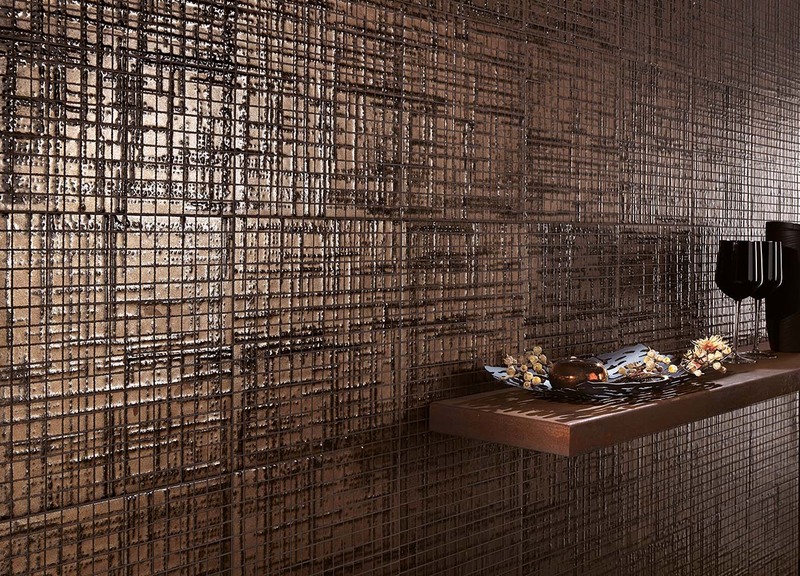 Bands: elegant brush strokes of contrasting glazes stylishly and originally paint surfaces. 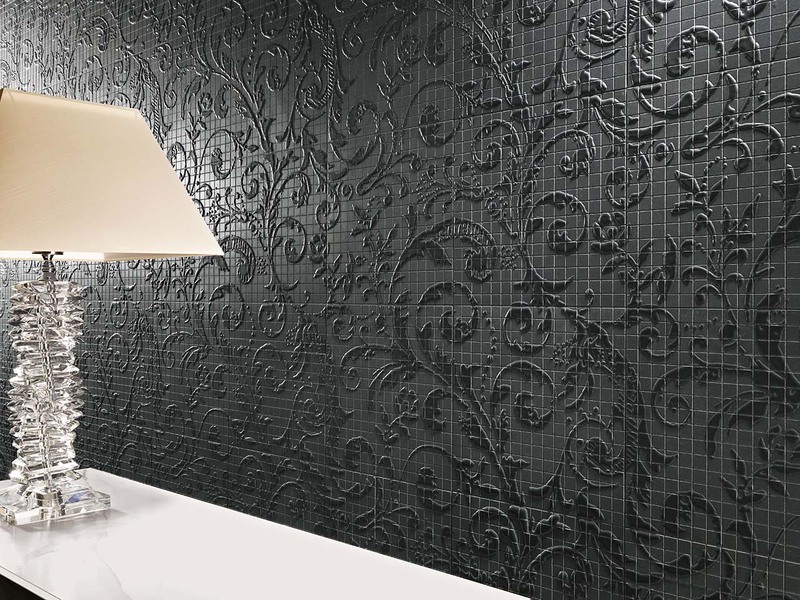 Dark Side mosaics present the perfect solution for unique markets by combining extraordinary aesthetic qualities with excellent technical performance. In essence, this collection is perfect for designers looking to create design spaces with a contemporary spirit.